In a report to Iceland’s Parliamentary Employment Committee, fisheries scientist Jón Kristjánsson and biologist Sigurjón Thórðarson made a clear recommendation that removing limitations on coastal fisheries would be a significant benefit to marine stocks as well as to coastal communities in Iceland. 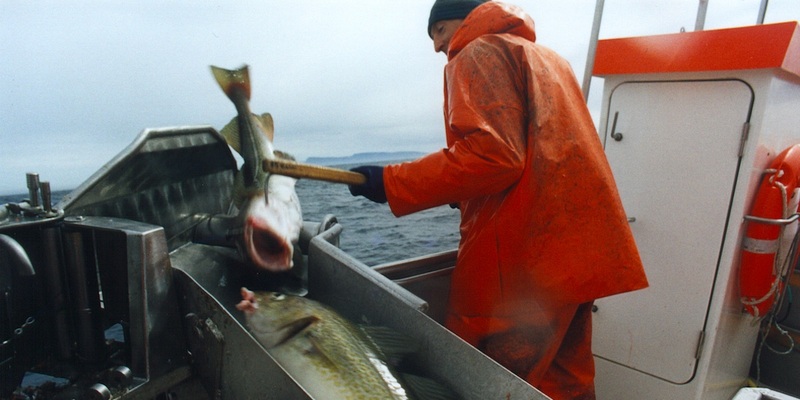 The opinion is a controversial one – and one that is fundamentally at odds with the longstanding regime of fisheries management in Iceland which has steadily sought to ensure that fisheries remain rigidly controlled. The opinion of Jón Kristjánsson and Sigurjón Thórðarson is that Iceland’s fisheries management has resulted in a growing stock on cod and haddock in coastal waters, and these stocks have become predators that ended many shrimp fisheries, and they point out that the Marine Research Institute’s data shows that with quota restrictions, small boat fishing has been reduced in coastal areas, leading to growing stocks of cod and haddock. ‘It shows that there have been clear changes in six fjords and bays in northern and western Iceland since 1995. Shrimp has been declining in the face of predation from cod and haddock that has ended with the shrimp stocks in these fjords collapsing. Shrimp fishing was 2000-3000 tonnes annually in the Ísafjörður Deep up to the year 2000, while this winter there is a 456 tonne quota and there has been no shrimp fishery in areas worst affected,’ he said, commenting that the advent of the quota system and cuts to cod fishing as part of attempts to ‘rebuild’ the stock have reduced fishing effort on coastal cod. ‘The result is that the shrimp has been eaten, and the same has happened to langoustine off the south coast. It has also predated heavily on the fry of flatfish and other species. Cod has gone a long way towards consuming the capelin stock, hah already eaten all the shrimp, as well as langoustine, halibut, coastal flatfish and its own juveniles. A correct response to this would be to open coastal fisheries up, which would yield more fish and more shrimp,’ he said. He commented that it has been shown that reducing the proportion of the cod stock that can be caught is detrimental to recruitment. ‘The abundance of feed in the ocean does not allow such a large stock, and it begins to consume itself. The cod stock has reached its maximum size and is not able to grow any further. As long as the exploitation rate is not increased, the cod catch will not increase much beyond 250,000 tonnes, which is half of the amount that was caught during the years of ’overfishing.’ Allowing unlimited fishing for small boats would be beneficial and would not lead to overfishing. The advantages would be greater revenues from fishing grounds, which would benefit greatly from this,’ Jón Kristjánsson said.